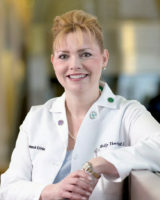 Dr. Holly L. Thacker’s 13 Health Tips to Wrap Up the Year! This is the time of year to reminisce, reflect and count down! Soon, it will be a fresh start to a brand new year, which usually begins with some well-intentioned resolutions. We at Speaking of Women’s Health pledge to help YOU keep your resolutions by helping you Be Strong, Be Healthy and Be in Charge! 13. Banish any unlucky numbers or negative thoughts from your mind. If you suffer from Seasonal Affective Disorder (SAD), get treatment. Light therapy, exercise and vitamin D all can help! 12. Continue or start walking 12,000 steps per day. If you don’t have a pedometer, get one and wear it. 11. Be sure to double check all medication directions for you and your family. You cannot get the benefits of medications unless they are taken correctly. 9. If this is the year you enter menopause, be confident that you have several options including Hormone Therapy. 8. Get at least 8 hours of Zzzzz’s. 7. Be sure to eat at least 3 small servings of fruits and 4 servings of veggies per day. 6. Deep six a bad habit. You know what your bad habit is. 5. 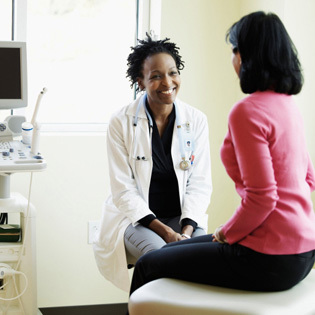 Just because some women over age 30 who are HPV negative only need a Pap smear EVERY 5 years does not mean you can skip your yearly health maintenance visit. You are more than a cervix! 4. Reinvigorate a passion for exercise or at least move more and sit less. This will help reduce anxiety. Exercise as well as anxiety reduction is the best kept anti-aging secret. 3. During family gatherings, gather your family medical history. It’s important. 2. Eat at least 2 servings of Omega-3 rich foods weekly. 1. Gratitude. Find at least one thing every day to be grateful for! Wishing all a Happy and Healthy New Year. Be Strong, Be Healthy, and Be in Charge! Can Anxiety And Loss Of Estrogen Age Women? Is How You Take Your Medications Important? Fight Horror: Be Strong, Be Healthy, Be in Charge and…. National Women’s Health and Fitness Day!